Accustomed as the military is to the phrase “conventional war against a nuclear backdrop,”1 the title here may require explaining. The media-conjured phrase usually accompanies articles describing the visit of the scribe to a military formation participating in a corps exercise or to its grand finale, usually witnessed by VIPs. The depiction is of conventional preparedness for operations in a nuclear backdrop. The message is that the nuclear factor, though not being wished away, is not overly intrusive since the exercises are validating the new doctrine of limited war under nuclear conditions. The 2004 doctrine aims to achieve military objectives under the nuclear umbrella. The assumption appears to be that nuclear deterrence enables conventional operations, though with due cognisance of enemy nuclear thresholds. The second message is that the enemy’s effort at projecting a low nuclear threshold for deterring conventional operations are viable only to a limited extent, in that they may constrict the scope of the conventional operations without deterring them altogether.2 This way, India has managed to create a window between sub-conventional and nuclear levels for conventional operations in order to optimally exercise its military power. However, there is a case for also countenancing the reverse: conventional backdrop to nuclear operations. This is more by way of contingency and is in line with the military’s preference for including the ‘worst case’ in its deliberations. Such consideration takes Pakistan’s projection of a lower nuclear threshold, most obviously done in its acquisition of the Nasr ‘tactical’ nuclear missile system, at face value.3 It assumes Pakistan’s nuclear first use, the intent being to convey that India is prepared for the worst. While general deterrence may be expected to hold, preparedness so conveyed reinforces immediate deterrence. Such preparedness does not cast adverse light on one’s own deterrence credibility, but caters for a nuclear outbreak unintended by Pakistan’s National Command Authority as a result of the fog of war, miscommunication, accident, fear, panic or unauthorised use.4 There is also the scenario in which terrorists gain access while the nuclear system is most vulnerable in movement in conflict conditions. In any case, since the onus is on Pakistan to initiate a nuclear attack, it is not impossible to visualise a state and an Army known for past strategic misjudgements to make yet another strategic mistake. Therefore, to exercise with the nuclear factor moving from ‘backdrop’ to ‘foreground’ is to be prepared for eventualities, even those less likely. Doing so has a salutary benefit in reinforcing deterrence. Noted nuclear watcher Manpreet Sethi writes, “It should also be made widely known that Indian troops have the ability to fight through tactical nuclear use.” This is necessary to “send a message of preparedness to handle such use without bringing conventional operations to a halt or even confronting the political leadership with the choice of war termination, as assumed by Rawalpindi.” This strengthens the concept of deterrence India subscribes to: deterrence by punishment.5 Knowledge of the fact that the Army can operate even in nuclear conditions makes nuclear use unnecessary for Pakistan since even its use would not prevent the Indian Army from achieving its political aims and military objectives. It would be preferable for Pakistan in this case to admit defeat at the lower cost of conventional punishment rather than its inevitability at a higher cost of nuclear damage to oneself. In any case, the ‘worst case’ would be nuclear first use by Pakistan. Preparedness implies being prepared for the ‘worst case’ contingency even if it is least likely, alongside ensuring through operational plans not to trigger the contingency. The mantra since Gen Padmanabhan’s time has been, “The Indian nuclear strategy is Deterrence by punishment. Army will be trained to prepare for a nuclear war with an emphasis on weapons, tactics and war games even if it is unlikely to take place.”6 While the limited war doctrine has been adequately worked on7 , there is scope for going down the route further in conventional operations under nuclear conditions. Currently, the tactical and protective measures that need be taken are well covered. These, however, have to be taken forward to include operational level responses. That there is a mutually influential relationship between the two levels – conventional and nuclear – had been recognised fifteen years ago in the Draft Nuclear Doctrine.9 The draft had required India to maintain highly effective conventional military capabilities to raise the threshold of an outbreak of a conventional military conflict as well as that of threat or use of nuclear weapons. Further, the defence forces are to be in a position to execute operations in a Nuclear, Biological, Chemical (NBC) environment, with minimal degradation. Barring the exceptions in the official doctrine of January 2003, the draft has since been adopted as the nuclear doctrine.10 These stipulations of the nuclear doctrine, therefore, are operative for conventional operations. The Army’s cognisance of this is clear. Take, for instance, its turn from defensive defence to active deterrence with the reconfiguration on the eastern front over the past half-decade. It has enhanced conventional deterrence and in the event of its failure, it can undertake operations without India resorting to the threat of use of nuclear weapons. This will keep No First Use (NFU) inviolate. Indian Army can fight through a tactical nuclear weapon use. In so far as continuing operations in a nuclear environment is concerned, press reports from the generally well covered corps level exercises indicate that the nuclear dimension is incorporated in the exercises in both the conceptual and physical facets.11 The conceptual facet is in the narratives reflecting a ‘Redland’ having a nuclear capability and the physical is witnessed in the decontamination drills, sometimes showcased for the press corps. The usual understanding is that in case of introduction of nuclear weapons into a conflict, even at the lower order levels of nuclear first use and retaliation, the conflict is dramatically transformed from its original scope. The pre-nuclear use situation, specifically conventional operations in a nuclear backdrop, has, therefore, to change to one in which conventional operations form the backdrop for a nuclear foreground. This has two implications: one is that the nuclear operations will take precedence over conventional operations; and two, political and diplomatic strategies will acquire precedence over the military prong of grand strategy. This implies that conventional operations will require deferring to nuclear operations and would be subject to a greater stringency in so far as supporting the political and diplomatic dimension goes. Clearly, with the political aims being modified in the light of the nuclearisation of the conflict, the military aims and conventional objectives would require review. Since this can be anticipated, the contingencies can be thought through for early and speedy realignment of conventional operations. There are two conceivable directions for conventional operations: either, proceed with greater vigour under cover of the fact that Pakistan is in the nuclear doghouse; or, be more cautious lest conventional moves complicate the political positioning at the strategic level or trigger avoidable nuclear escalation. Since a nuclear war outbreak implies that conflict termination efforts will heighten, the possibility of quickly gaining a war termination position may entail a quickened tempo of operations so as to finish on top. Nevertheless, changing to top gear in the midst of nuclear operations alongside may not be possible. Speeded up operations may be more dangerous in a nuclear situation since, firstly, the enemy may get into a ‘use them-lose them’ dilemma; and, secondly, his resulting conventional paralysis may make him rely more on the nuclear card. Also, own nuclear retaliatory strikes will require space for execution, uncluttered by ongoing conventional operations. Settling for a more cautious approach to conventional operations may well be adopted. It is likely that the tempo of conventional operations will be considerably degraded. While there would be immediate nuclear effects to cope with, shifting of gears in the form of rethinking priorities, weight along thrust lines, tactical pauses, etc. may be required. The priorities will rearrange around the nuclear retaliatory strikes and the communication zone will have to be reconfigured to prevent targets for a Pakistani counter-strike. In this consideration, while in-conflict deterrence will be predominant, the anticipated fallout on conventional operations of nuclear operations requires feeding-in into nuclear response considerations. In any case, quickening operations under conditions of mobility and logistics under nuclear conditions may not be readily possible. Also, the slowdown, to include tactical pauses, may help create conditions for nuclear retaliatory strikes. Since Pakistani counter-strikes can be expected, caution in movement and particularly in reconfiguring of the communication zone may be necessary to prevent targeting from counter-strikes. The greater the conventional adaptability, the greater will be the scope and confidence in execution of the retaliatory strike. The retaliatory strike, while certain, may not necessarily be immediate. In the case of an enemy lower order nuclear first use such as a demonstrative strike, there could be a case for postponing nuclear retaliation and proceeding with conventional operations at a heightened tempo. As has been argued on the Institute for Defence Studies and Analyses (IDSA) website in 2008 and recently in 201412, India’s nuclear doctrine lends itself to such interpretation. It states that nuclear retaliation will be of unacceptable levels in the case of a ‘first strike’. If India is to interpret ‘first strike’ as a higher order first use aimed at degrading India’s retaliatory capability, then India’s nuclear retaliation can be flexible – later and/or lesser. In case lower order strikes are met with a lower order nuclear retaliation, the scope for conventional operations potentially enlarges. From a politico-diplomatic point of view, India’s position to press on conventionally will be unassailable since Pakistan will be in violation of the nuclear taboo.13 India can retain the choice of punishing it either by nuclear means, by conventional means or both. In such a case, the retaliatory strike can be reconfigured to suit the conventional battle so as to together shape conflict termination. From the manner in which wars of this century have played out, it is clear that the asymmetric dimension is no longer merely an irritant, but can possibly be the main prong of the enemy strategy. Israel and the US have faced up to the challenge in the midst of operations. For instance, the US came up with the Petraeus Doctrine half way through the Iraq War.14 While the Indian Army has a sub-conventional doctrine; it stops at the Line of Control. 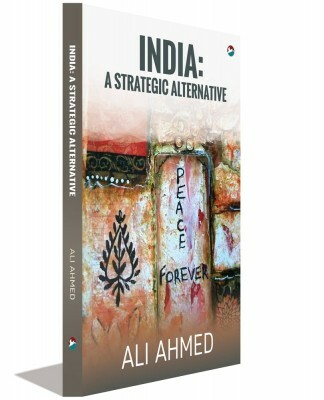 In its next iteration, it requires a chapter on how the Army will cope with the irregular war that will accompany conventional operations and which stands to be heightened by the nuclear punishment India will visit on Pakistan in case of a nuclear first use by that state. There are two scenarios of sub-conventional possibilities in a nuclear aftermath. The first is in nuclear retaliation stunning the state and society into paralysis. Coping with this will absorb all the national energy. However, the second is that there could well be a heightening of irregular war in the captured territories. Politically, the jihadists will stand to gain as they are already better organised and with the state disrupted by the nuclear retaliation suffered, the nationalist-jihadist combine could mount an internal political challenge. They will attempt to gain legitimacy for this by taking the fight to the ‘invaders’. In either case, it can be seen that there may be an involvement of the Army in stabilisation operations. In the first case, this may be benign, and with international support after conflict termination. It is the second that needs doctrinal reflection. The conventional-subconventional firebreak will disappear. Two scenarios can appear. First, even as the conventional operations continue, subconventional operations will have to be launched alongside. The second is that the conventional challenge may wither away, as with the Iraq Army in Iraq War II, to be replaced primarily with the sub-conventional one. Add to both the humanitarian dimension. As the occupying power in the areas captured, the onus would be on India to cope. It also has no problem with the Pakistani people; therefore, it would be extending a helping hand to the people outside its reach since the Pakistani state would be prostrate and liable to be overtaken by jihadist forces. The point that emerges is that conventional operations may end up taking a back seat to sub-conventional and humanitarian operations. Anticipating other down-flow effects from the nuclear level to the conventional and sub-conventional enables preparing for them. A collapsing of the three levels – nuclear, conventional and sub-conventional – otherwise visualised as distinct in the spectrum of conflict into one with the disappearance of the nuclear firebreak can be expected to occur. The sub-conventional dimension can be expected to Politico diplomatic strategy will take precedence during the nuclear war. heighten alongside the conventional operations on a battlefield gone nuclear. The doctrinal implications of this for both conventional and sub-conventional doctrines need thinking through. Anticipating this enables preparation. In sum, the military prong of the grand strategy will take second place to the politico-diplomatic one. Conventional operations will be overshadowed by nuclear operations and stabilisation operations will be predominantly sub-conventional. So far, the military exercises have had the nuclear dimension as the background. This needs reimagining so as to come up with operational level options in a war gone nuclear. One way to do this is to cease beginning exercises with an ‘I’ Day scenario in which ‘I’ stands for a mass terror incident. Instead, some exercises could also begin with an ‘N’ Day scenario in which ‘N’ stands for the day of nuclear first use. Preparedness such as this helps with deterrence as also with its breakdown. The outcome can be in the form of an explicit limited war doctrine for conventional operations under nuclear conditions. While conventional doctrine needs to acquire a new chapter on conventional operations under nuclear conditions, the nuclear doctrine would require examining which of the options of nuclear retaliation is better suited for India in the light of its conventional advantage: does ‘massive’ nuclear retaliation suit India better or is ‘flexible’ nuclear retaliation better? The answer can help in the revision, when carried out, of the nuclear doctrine. As seen, the principal effect in both cases of lower order first use – catalytic and operational – is that the conventional level is superseded by the nuclear level. Therefore, how the nuclear doctrine shapes up is of consequence for the military. Notes 1. S P Kapur, Dangerous Deterrent: Nuclear Weapons Proliferation and Conflict in South Asia, (Singapore: NUS Press, 2009), p.55. 2. M Sethi, “Responding to Pakistan’s Tactical Nuclear Weapons: A Strategy for India”, IPCS, January 18, 2014, available at http://www.ipcs.org/article/pakistan/ipcs-debate-respondingto-pakistans-tactical-nuclear-weapons-a-strategy-4263.html, accessed on August 01, 2014. scholar warrior ä spring 2015 ä 21 scholar warrior 3. ISPR Press Release of April 19, 2011, available at https://www.ispr.gov.pk/front/main. asp?o=t-press_release&id=1721, accessed on July 13, 2014. 4. M Krepon, “Pakistan’s Nuclear Strategy and Deterrence Stability”, Stimson Centre, available at http://www.stimson.org/images/uploads/research-pdfs/Krepon_-_Pakistan_Nuclear_ Strategy_and_Deterrence_Stability.pdf, accessed on July 14, 2014. 5. M Sethi, “Counter Pak Nuke Tactics”, New Indian Express, July 24, 2014, available at http://www.newindianexpress.com/columns/Counter-Pak-Nuke-Tactics/2014/07/24/ article2345369.ece, accessed on July 25, 2014. Also see by same author, n.2. 6. Harinder Baweja, ‘Readying for Nukes’, India Today, May 21, 2001, available at http:// indiatoday.intoday.in/story/for-the-first-time-after-india-became-a-nuclear-power-armystages-a-nuclear-war-game/1/233562.html, accessed on January 15, 2015. 7. 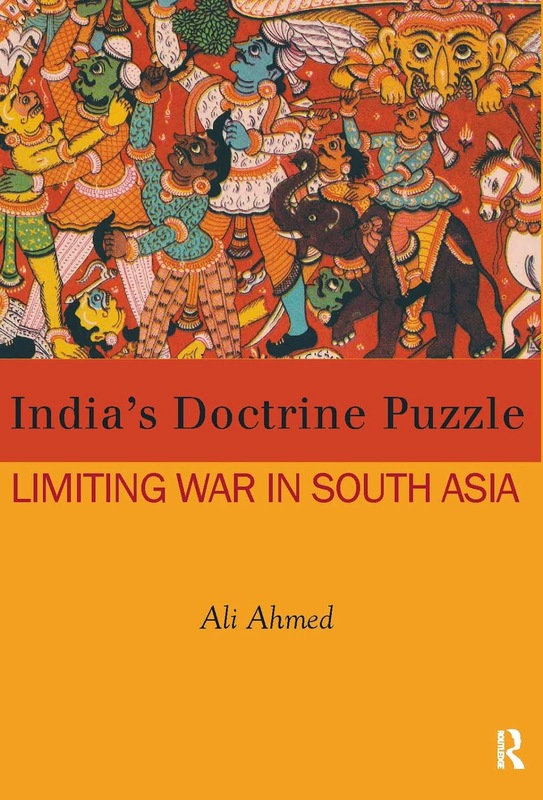 For a discussion on India’s Limited War doctrine, see Ali Ahmed, India’s Doctrine Puzzle: Limiting War in South Asia (Routledge, 2014). 8. The conventional doctrine, Indian Army Doctrine, is a 2004 publication of the Army Training Command (ARTRAC). The Doctrine for Sub-Conventional Operations was released by ARTRAC in 2006. The nuclear doctrinal review has been promised by the government of the official nuclear doctrine of 2003. 9. National Security Advisory Board, “India’s Draft Nuclear Doctrine”, August 1999, Arms Control Association, available at https://www.armscontrol.org/act/1999_07-08/ffja99, accessed on July 20, 2014. 10. Press Information Bureau, “Cabinet Committee On Security Reviews Progress In Operationalizing India’s Nuclear Doctrine”, Cabinet Committee on Security, January 03, 2003, available at http://pib.nic.in/archieve/lreleng/lyr2003/rjan2003/04012003/r040120033. html, accessed on July 20, 2014. 11. R Pandit, “Army Undertakes Major Exercise Along Western Front to Hone Combat Skills”, The Times of India, April 29, 2014, http://timesofindia.indiatimes.com/india/Army-undertakesmajor-exercise-along-western-front-to-hone-combat-skills/articleshow/34348704.cms 12. 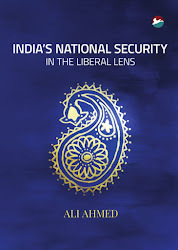 A Ahmed, “The Need for Clarity in India’s Nuclear Doctrine”, IDSA, November 11, 2008, available at http://www.idsa.in/idsastrategiccomments/ TheNeedForClarityInIndiaSNuclearDoctrine_AAhmed_111108.html, accessed on August 02, 2014; and Balachandran G and Kapil Patil, “Revisiting India’s Nuclear Doctrine”, IDSA, June 20, 2014, available at http://idsa.in/idsacomments/RevisitingIndiasNuclearDoctrine_ gbalachandran_200614.html, accessed on August 02, 2014. 13. A Ahmed, “Diplomatic Engagement in a Post Nuclear Use Environment”, Indian Defence Review, May 27, 2014, available at http://www.indiandefencereview.com/spotlights/ diplomatic-engagement-in-a-post-nuclear-use-environment/, accessed on July 12, 2014. 14. A Bacevich, “The Petraeus Doctrine”, The Atlantic, October 01, 2008, available at http://www. theatlantic.com/magazine/archive/2008/10/the-petraeus-doctrine/306964/, accessed on July 15, 2014. 15. IANS, “India ‘Gave Befitting Reply’ to Soldier Beheading”, The Hindustan Times, July 31, 2014, available at http://www.hindustantimes.com/india-news/india-gave-befitting-reply-tosoldier-beheading/article1-1246684.aspx, accessed on August 02, 2014.